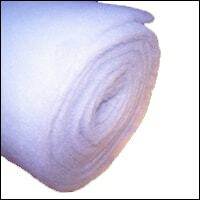 Finest-Filters filter wool is available in five different thicknesses, as shown below. Our filter wool is also available in many different roll lengths, Our filter wool is totally aquatic safe, and is guaranteed to not harm any aquarium inhabitants. Our filter wool can simply be cut to size to fit any aquarium or pond filter.